I gave my love a cherry that has no stone. How can there be a baby with no cryin'? A cherry when it's blooming, it has no stone. And a chicken when it's pippin', there is no bone. A baby when it's sleeping, there's no cryin'. Riddles and riddle songs are probably as old as human-kind. This particular song is over five hundred years old- the oldest version being a manuscript dated 1430, housed in a British museum. Although some of the riddles have changed over time, the cherry and the chicken have been there from the oldest version we know of. In some versions, the baby with no crying is a baby in the making. Folk songs are often ribald, but this has not historically been one of them. However, there have been several anachronistic attempts to make this one more earthy than it ever was. 'Pippin', or pipping, is a chicken still in the egg, but just starting to peck it's way out, the idea that while still in the egg the bones have not yet developed or hardened. Some versions include a book that can't be read (it's still in the press), and similar notions, all of which, to me, charmingly communicate the notion that ideas are the seeds from which real things grow. This song has often been sung as a lullabye, and versions have been recorded by Burl Ives, Carly Simon, and the Meters (a funk band from New Orleans). It traveled from England to the American Appalachians, and probably back again. It is slower and not as immediately appealing to many children as some of our more lively suggestions, but I hope you don't skip it. Let it grow on you. You might consider engaging their interest by first introducing only the first verse. Ask them what they think the answers to the riddles are. Speculate a bit. Have fun with it. Have a bit of time wondering about or guessing the answers, learn the next verse. You could wait a few moments or a few days to introduce the answers in the next verse, just give the children some time to think about and speculate with you over the possible the answers before going on to the second verse. 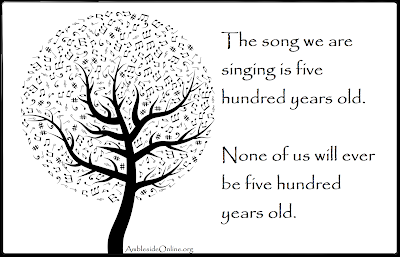 To borrow and paraphrase from Canadian storyteller Alice Kane, This song we are singing is five hundred years old. 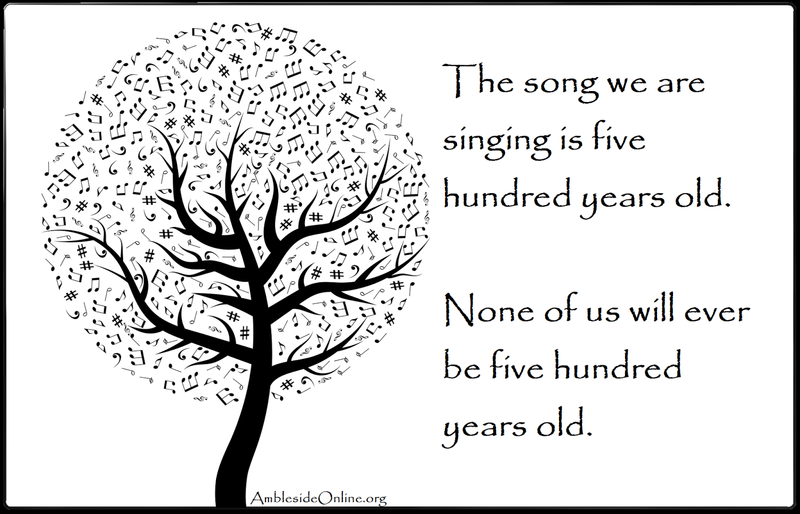 None of us will ever be five hundred years old. The fourth sent a book which no man had read. How can there be a blanket without any thread? How can there be a book no man has read? There are some slight variations between the above lyrics and the Pete Castle version. Can I say, with much warm and friendly affection and encouragement, please get over that. It realio, trulio doesn't matter. Your lyrics do not need to match up perfectly to the youtube video or other recordings. It's totally unimportant. You need to listen to the recorded version only enough to get the gist of the tune and rhythm. Then turn it of and sing and play for yourselves. Folksongs change over time and through regions, and between singers. Change them up yourselves, if you like. Don't be frustrated and unable to sing because your lyrics say blanket and the song says wool. It's totally irrelevant. Just sing. "Let us consider for a moment what unequalled training the child naturalist is getting for any study or calling-the powers of attention and concentration, of discrimination and patient pursuit, and growing parallel with his growth, what will they not fit him for? Besides life is so full of interest for him, that he has no time for the faults of temper which generally have their source in lack of occupation for body or mind. The sense of Beauty comes from early contact with Nature. "The aesthetic sense of the beautiful," say Dr. Carpenter, "of the sublime, of the harmonious, seems in its more elementary form to connect itself immediately with the perceptions which arise out of the contact of our minds with external Nature"; while he quotes Dr. Morell, who says still more forcibly that "All those who have shewn a remarkable appreciation of form and beauty, date their first impressions from a period lying far behind the existence of definite ideas or verbal instruction." There is no end to the store of common information, got in such a way that it will never be forgotten, with which an intelligent child may furnish himself before he begins his second career. 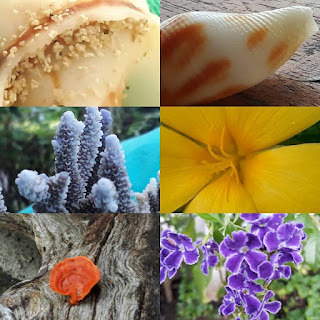 A child should be made familiar with natural objects, that is the observant child should be put in the way of things worth observation, and the unobservant child encouraged to notice and be on the look out for things. Generally speaking, this is not difficult, because every natural object is a member of a series. Take up any natural object-it does not matter what-and you are studying one of a group, a member of a series; and whatever knowledge you get about it is so much towards the science which includes all of its kind. Break off an elder twig in spring; you notice a ring of wood round a centre of pith, and there at a glance you have a distinguishing character of a great division of the vegetable world. You pick up a pebble. Its edges are round and smooth. It is water-worn and weather-worn and that little pebble brings you face to face with disintegration, the force to which, more than any other, we owe the aspects of the world we call picturesque-glen, ravine, valley and hill. It is not necessary to tell the child anything about dicotyledonous plants or disintegration, only that he should observe the pith within the twig and the rounded edges of the pebble. By and by he will learn the bearing of the facts with which he is already familiar-a very different matter from learning the reason why of facts which hitherto have never come under his notice. The power to classify, discriminate, and distinguish between things that differ is amongst the highest faculties of human intellect, and no opportunity to cultivate it should be allowed to pass. For this reason children should be encouraged to make such rough classifications as they can with their slight knowledge of both plant and animal forms of life. A classification taken from books, that the child does not make out for himself, cultivates no power but that of verbal memory."